I purchased a copy of this book after hearing so much about it. It seemed as though everyone was reading it and there was such a positive buzz surrounding it. I was curious to see what all the fuss was about and WOW, let's just say I wasn't disappointed! I thought the story was highly original with its catchy tagline: "The serial killer isn’t on trial. He’s on the jury." It was a suspenseful and gripping read as lawyer Eddie Flynn defended famous actor Bobby Solomon, who stood accused of a double homicide. There were plenty of excellent twists and turns as the media frenzy ensued and the courtroom battle commenced. Could Eddie prove his client's innocence despite a mountain of evidence against him? This book is a fabulous legal thriller. Although fourth in a series, it can be read as a standalone. I enjoyed it so much I've bought another two. 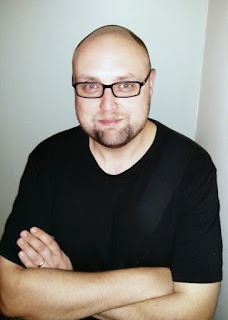 Steve was born and raised in Belfast, Northern Ireland. At 18 he moved to Dublin and studied Law, by mistake, and went on to be a pot-washer, bouncer, security guard and call centre operative before landing a job as an investigator for a large law firm in Belfast, where he eventually qualified as a solicitor. He then moved to a smaller firm where he could practice in the field of civil rights law. Steve has been involved in several high profile cases; in 2010 he represented a factory worker who suffered racial abuse in the workplace and won the largest award of damages for race discrimination in Northern Ireland legal history. He holds a certificate in Advanced Advocacy and often lectures on various legal subjects (but really he just likes to tell jokes). Steve Cavanagh is the author of the Eddie Flynn books, a series of US-based courtroom thrillers which follow a con-man turned top lawyer. 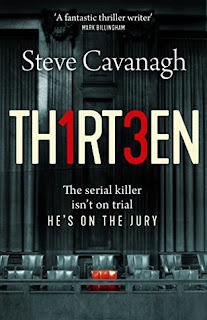 Steve Cavanagh is the pen name of Stephen Mearns.